Get your My SS Account now, before someone else gets yours. "Setting up an account is quick, secure, and easy. Join the millions and create an account now!" When I went online to set one up, I was thoroughly unimpressed with their security and felt they were hackable. Since the Office of Personnel Management lost 22 million people's personal information, I thought it was better not to setup another vector of attack with another incompetent government agency. Now, I've decided I was wrong. I went online and setup the account even though I don't think it is secure. The problem is, that it could be even more insecure to not setup an account! 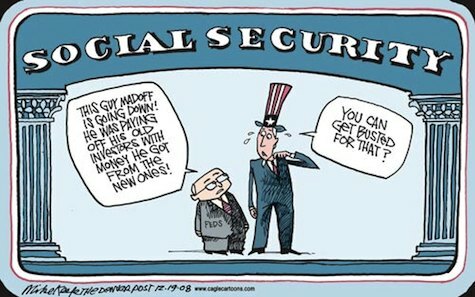 If you are getting social security or are near to getting it, I recommend you setup an account. It appears that miscreants are using the same techniques used to access 330,000 IRS complete returns, to redirect your Social Security benefits. They setup your account and then change the direct deposit to their pre-paid debit card. 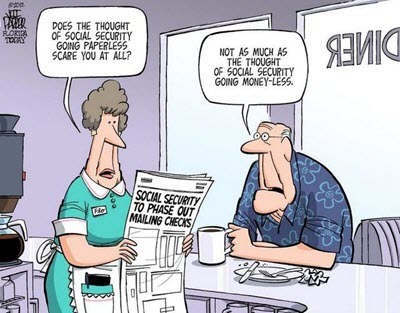 The security identity checks used by Social Security can be fooled by hackers about half the time they try. These are the same security precautions that were used but discontinued by the IRS' Get Transcript program when it allowed hackers to access the complete tax returns of 330,000 people. Those hackers would not only sell the information, but re-direct refunds to their own pre-paid debit cards when available. I decided to follow the advice of Jonathan Lasher, the assistant inspector general for external relations at the SSA's Office of Inspector General. "Of course, the one way to ensure that no one opens an account in your name is to open one yourself,"
Here's the link to setup your insecure account.